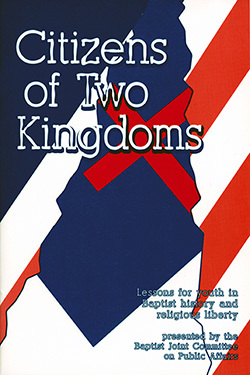 Citizens of Two Kingdoms is a teaching guide designed to inform youth about Baptist history and the struggle for religious liberty. It contains four lessons entitled "Citizens of Two Kingdoms," "A Heritage for Freedom," "Protection for Freedom," and "Freedom: A Continuing Struggle." 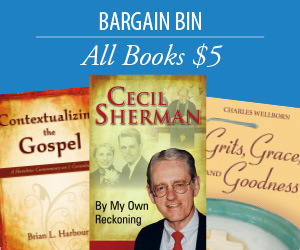 Each lesson addresses a particular theme. For example, "A Heritage of Freedom" shows how Baptists, although persecuted, have played a major role in United States history. "Protection for Freedom" details how the First Amendment ensures religious liberty and the separation of church and state.